Alfirio Christaldo originally learnt to play flamenco guitar at the age of 12 forming a group known as The Cristaldo Trio. 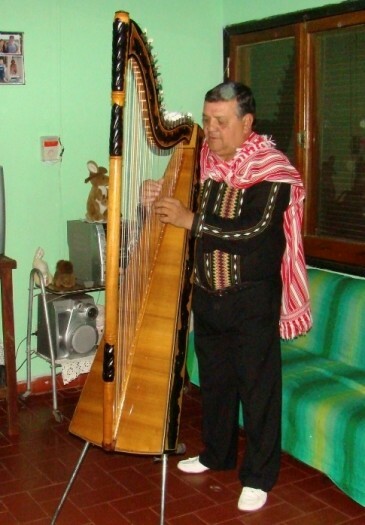 At age 21 he began studying Paraguayan harp at the Buones Aires Paraguayan Harp Conservatory. He came to Australia in 1975 and has since performed at all major festival throughout the Asia Pacific Region. He played for many years at the Hilton and Le Meridien/Rialto. An elegant musician, he is technically perfect and musically an astute performer. His repertoire ranges from classical through to popular music.